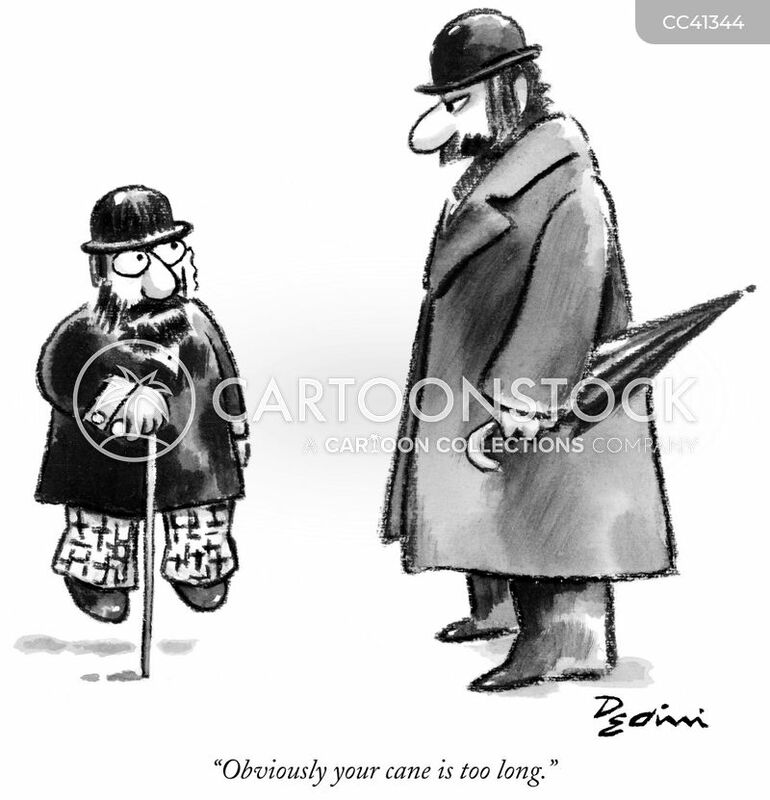 "Obviously your cane is too long." "The derby is better. 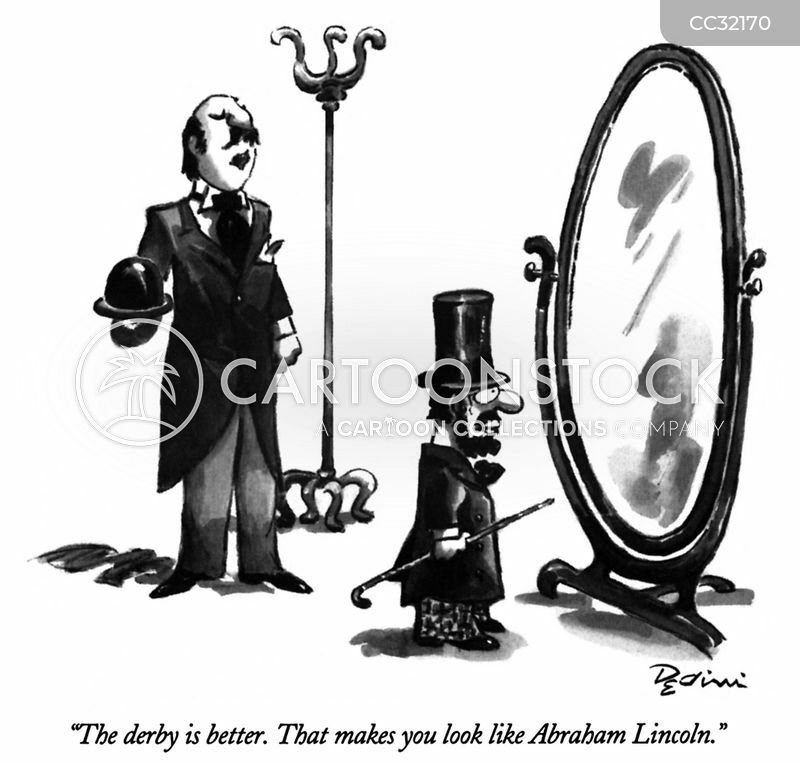 That makes you look like Abraham Lincoln."